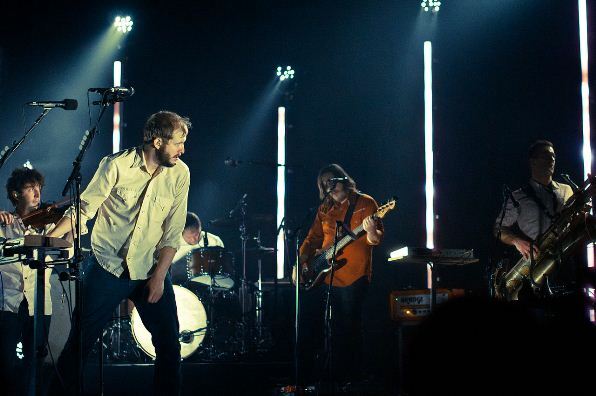 The American indie folk band Bon Iver is coming to the Philippines next year to co-headline the Wanderland Music and Arts Festival which is scheduled to be staged on March 5, 2016 at the Globe Circuit Events Ground in Makati City. The band confirmed their appearance in the upcoming festival through a post in their official Facebook page. "We're headed to Asia to play some shows early next year! We're going because we've never been there. Join us! ", the band posted on their Facebook wall. The Philippines will be the band's sixth stop in their Asian tour which they just announced this week. They will kick off the tour on February 21 at the AX Hall in Seoul, South Korea. After that, they'll hold concerts in Taiwan, Singapore, and Japan before heading to the Philippines. Founded in 2007 by Justin Vernon who is currently the band's lead vocalist, Bon Iver has released two studio albums (For Emma, Forever Go and Bon Iver, Bon Iver) and one EP (Blood Bank). Their most well-known songs include Skinny Love, For Emma, The Wolves, Flume, Holocene, Calgary, and Towers. At the 2012 Grammy Awards, Bon Iver won the awards for Best New Artist and Best Alternative Music Album. Their song Holocene was nominated but didn't win in the Song of the Year and Record of the Year categories. Wanderland 2016 will be headlined by Death Cab For Cutie, an alternative rock band behind the hit songs For What Reason, Doors Unlock and Open, We Looked Like Giants, I Will Possess Your Heart, and Prove My Hypothesis. Death Cab For Cutie just released their most recent studio album called Kintsugi in March of this year. Also scheduled to perform in the festival is San Cisco (formerly King George), an Australian indie pop band formed in 2009. About the Wanderland Music and Arts Festival - This is an annual outdoor music and arts festival produced by Karpos Multimedia Inc. which features both international and local artists. Its first edition was held in 2013 with international bands like The Temper Trap, Neon Trees, Nada Surf, and Avalanche City in the lineup. They were joined by local talents like Taken by Cars, Up Dharma Down, and Yolanda Moon. Wanderland 2014 was headlined by The Drums, an American indie pop band. Wanderland 2015 had hip hop artist and rapper Kid Cudi as the headliner.